Our main service is project consulting. Our expertise, gained through years of experience in various technology areas, have been successfully applied in solving clients' problems with minimum amount of time, effort, and money. We are capable of bringing in the latest technologies for solving the problems more efficiently. In handling a project, we look for a collaborative effort with your in-house experts. To avoid any conflict of interests, we follow a "one client for one product" policy. That is, after engaging in a project with you on a particular product, we will never work with anybody else on the same product. CWB Tech handles projects from Preliminary Study and Analysis to Detailed Synthesis, Design and Development in all areas of our expertise. Our project expertise extends from Troubleshooting and Debottlenecking of a process or a particular unit operation, to Process Evaluation for performance improvement (e.g. increasing capacity and selectivity, more energy efficient designs etc. ), all the way to generation of completely New Process Design schemes. 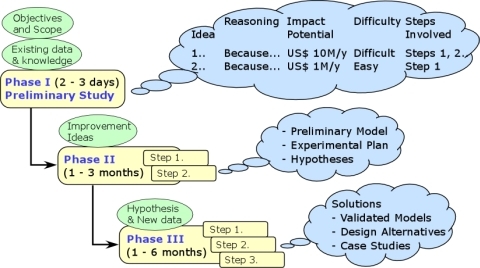 One of our unique service offerings is Conceptual Process Analysis, which involves a thorough systems level analysis of the particular process to map out all opportunities, from simple to radical, for improving or changing the process, as well as the technology hurdles that need to be overcome to achieve the same. CWB Tech has expertise in the preliminary as well as detailed analysis and modeling required in solving such problems. The objectives and scope of a few typical projects are given below. The preliminary study involves brain storming with your in-house experts, and a thorough analysis of the existing data, in order to clearly define the problem. The objectives and scope of the project are laid out, and the direction in which to proceed is decided. This step typically takes a few days. Please Contact us to arrange a preliminary study to identify the key issues in your process. The objective here is to analyze in more detail the key issues identified in the preliminary study. This step may involve modeling activities in order to capture the key effects in the process or the unit operation, and to identify the parameters dominating its performance. 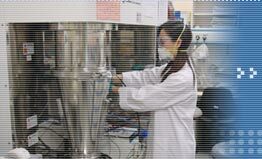 We aim to build a model or hypothesis which reproduces the correct trends as observed in the lab or in the plant, and which provides insights into process improvement. This step may take from one to three months, depending on the complexity of the project. The objective here is to undertake a detailed analysis of the individual issues or problems identified before. This may involve additional data collection or experimentation to investigate the behavior of system, validate hypotheses, or tune model parameters. Case studies and sensitivity analysis are carried out to explore various alternative solutions. Unique engineering solutions are proposed to solve the key project objectives. This step may take a few months depending on the extent of the project. Please Contact us now to see how our unique approach can help you solve your problems.